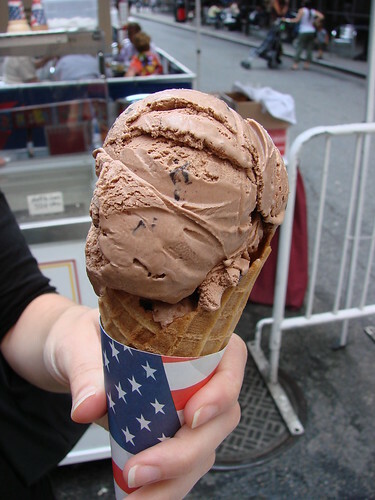 Blondie and Brownie: Brooklyn Ice Cream Factory Hits Midtown! 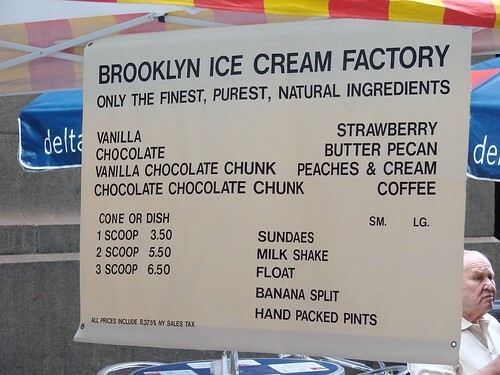 You don't need to cross the Brooklyn Bridge to get a taste of the all natural ice cream from Brooklyn Ice Cream Factory. That's right, as Blondie discovered, BICF has set up shop for the summer in a tent outside Pershing Square across from Grand Central. They're there 7 days a week from noon until about 7:00pm until the end of August. My strawberry cone was creamy with little bits of strawberry pulp and plenty of strawberry flavor. I actually prefer my strawberry ice cream with frozen strawberry chunks, but if you like your ice cream on the smooth side, this may be the strawberry for you. They've only been open a couple of weeks and don't yet have the set up for the items on the lower right hand corner of the menu (sundaes, shakes, floats and pints) but they did say that these items would be coming soon. 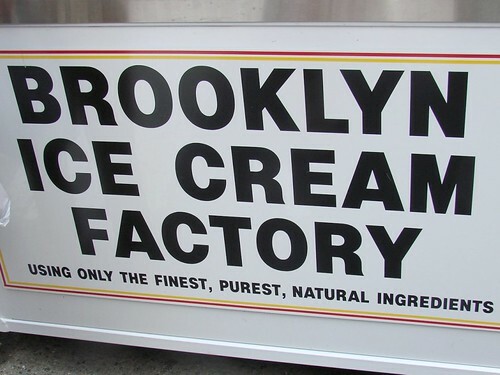 oh god I LOVE Brooklyn Ice Cream Factoty! 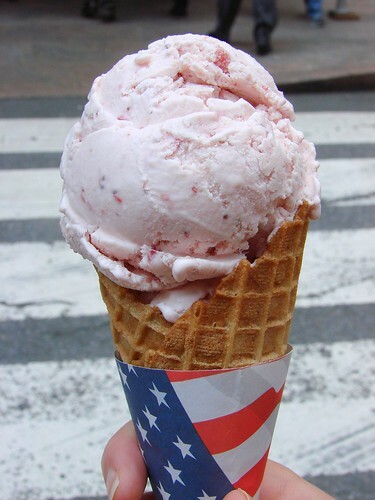 It might interest you to know that a few years ago b/c of an inside connection, a friend had a birthday party in the park and Brooklyn Ice Cream Factory made a flavor just for her: Cherry Pie! With actual hunks of pie in there! It was one of the most incredible things I've eaten! Aw yea! This is great news! 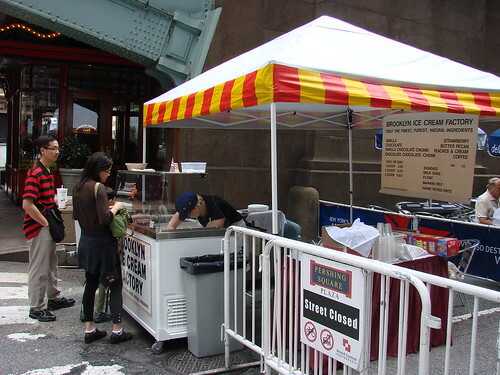 It's definitely a lot closer than walking across the bridge for their ice cream. @Sarah: Cherry Pie ice cream?!?! The sounds AMAZING. Oh, I'm soo jealous. I adore cherry pie. What a great idea. Mmmm. Inside connection you say... that's one inside connection I'd like to have!